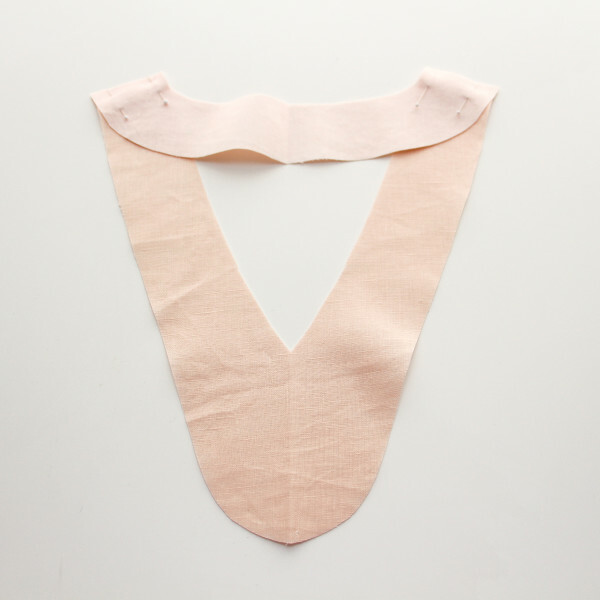 Firstly you’ll need to cut out your facings and attach lightweight fusible interfacing to the wrong side of the Front Neckline Facing and the wrong side of the Back Neckline Facing. 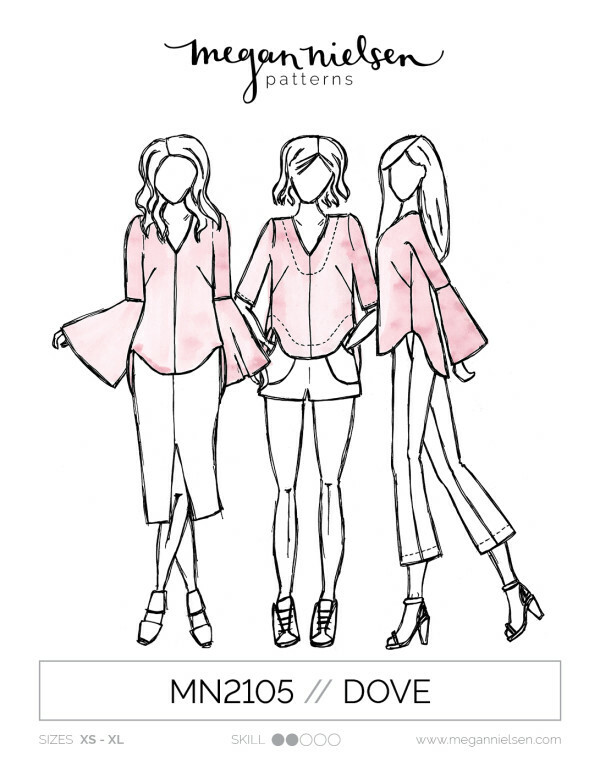 Place the Front Neckline Facing and Back Neckline Facing right sides together so that the shoulder seams line up. Sew along the shoulder seams 5/8” (1.5cm) from the raw edge. Press the seams open. Finish the raw edges of the facing by your preferred method. At this point I think it’s worth mentioning that I’m showing you a very standard method of finishing the raw edges of a neckline facing. 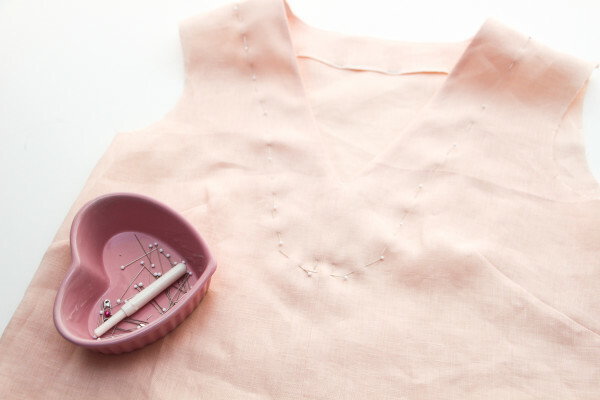 In a few days I’ll share some different ways that you can finish the raw edges of a neckline facing that are different than the above instructions, so keep that in mind if you’d like to wait and see the other methods. Can you see the light pencil marks on my facing above? As I showed you in my tips for sewing a perfect V neckline, it’s quite helpful to draw in the seam line on the vneck, ¼” (0.6cm) from the raw edge, before attaching to the neckline, as this will make it easier when sewing the neckline. 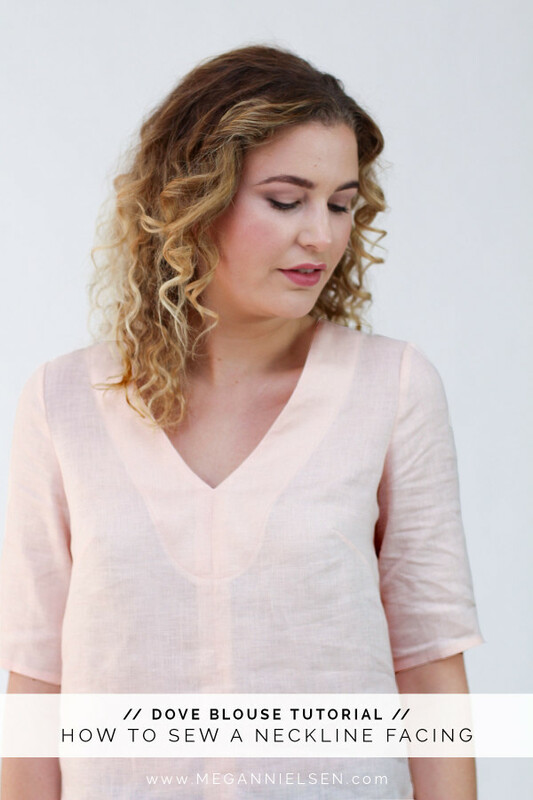 Turn the blouse right way round, so that the right side of the fabric is facing outwards. 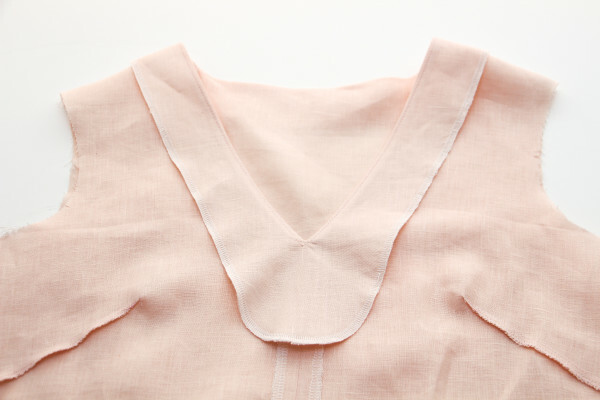 Place the facing over the neckline with right sides facing each other. 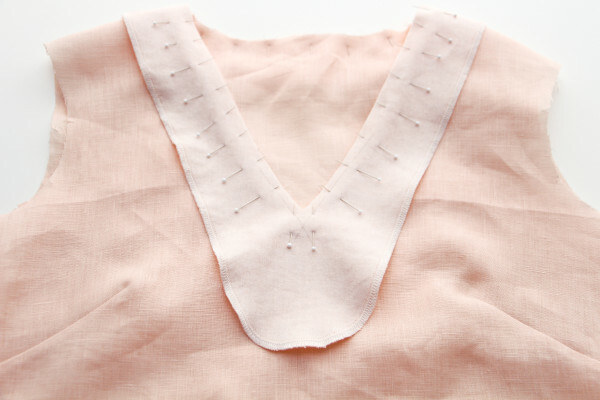 Attach the facing to the neckline by sewing ¼” (0.6cm) from the raw edge around the neckline, pivoting at the v neckline. 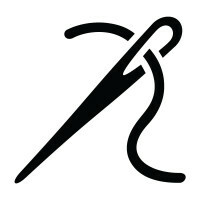 Clip into the v neck, being careful not to cut through the stitches, and clip along the back neckline edge being careful not to cut through the stitches. 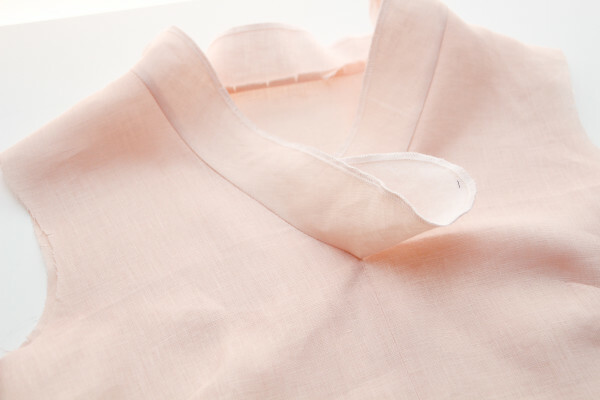 Press the facing and seams away from the neckline. 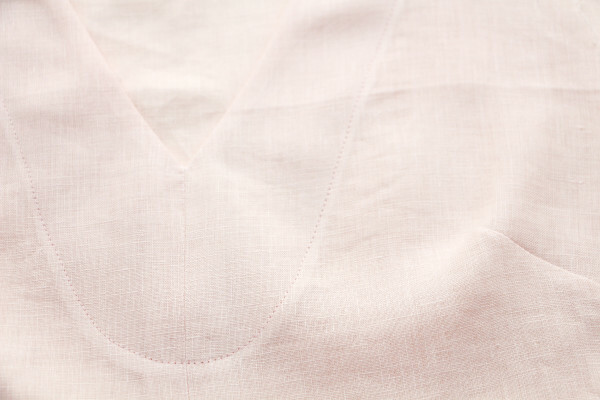 Understitch along the edge of the neckline facing to prevent the facing from showing on the right side of the blouse. 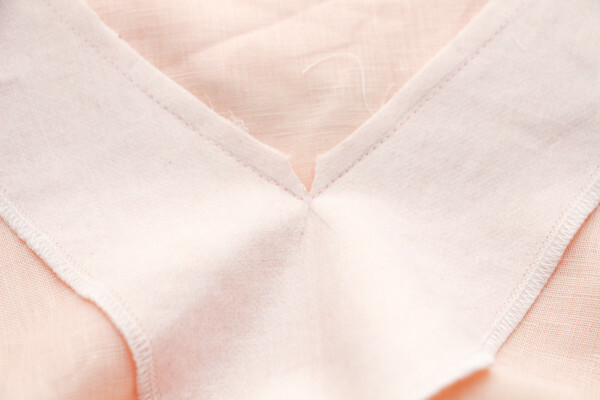 Turn the facing towards the inside of the blouse . 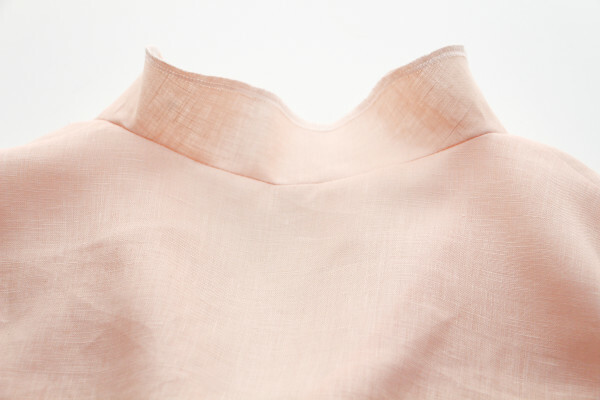 Press the neckline well ensuring that none of the facing is showing along the neckline edge. 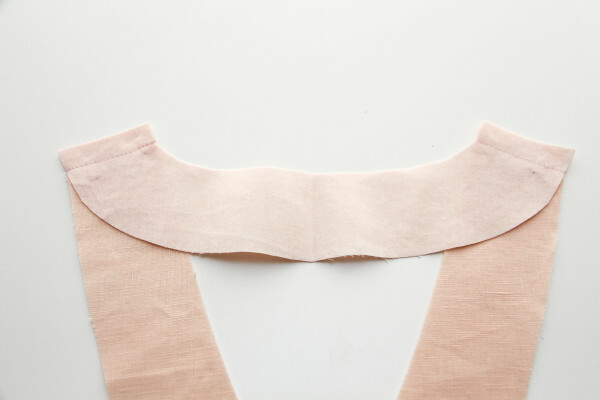 Hand tack the facing to the shoulder seams and the centre front seam. 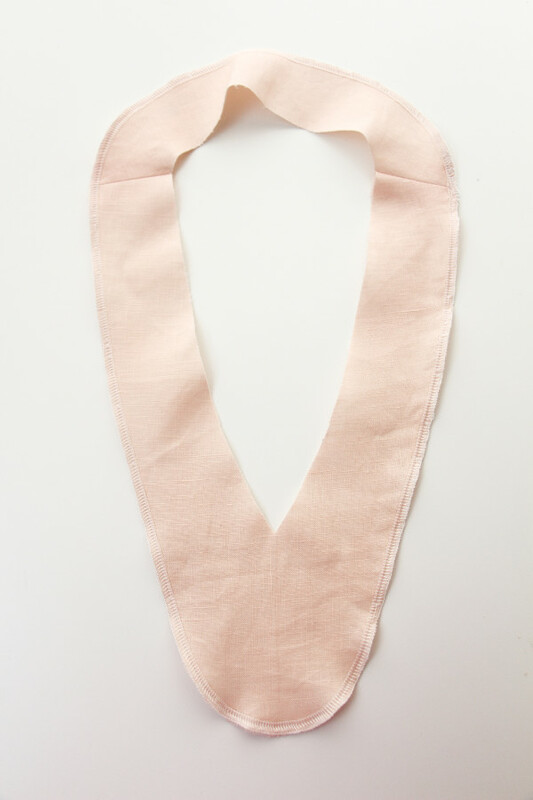 This will help prevent the facing from flipping to the right side of the garment during wear. 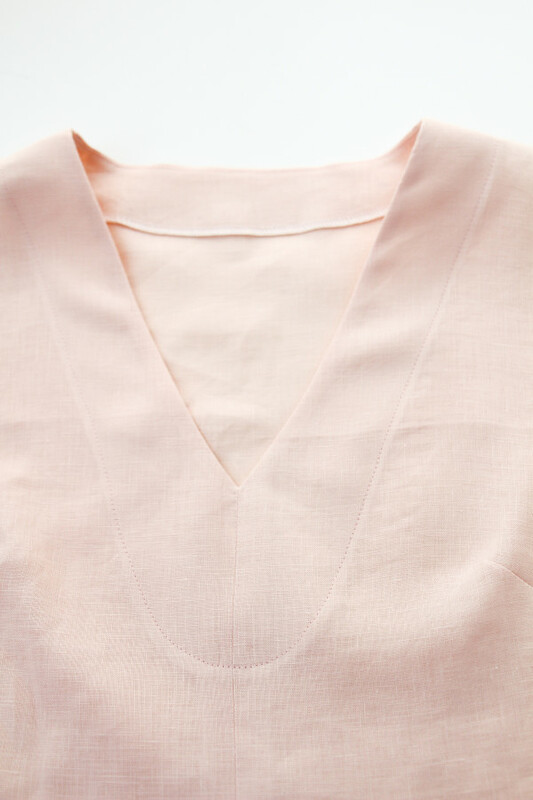 Or for a more casual look (as i did above) try topstitching the facing in place on the right side of the garment. Stay tuned because next up I’ll be showing you three ways to finish the internally edges of your facings beautifully. 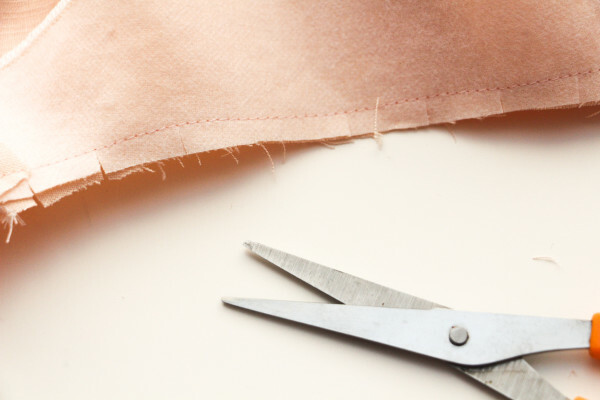 You’ll want to sew facings on everything! Your posts are ALWAYS helpful Meg! I like the idea of topstitching the facing down too. 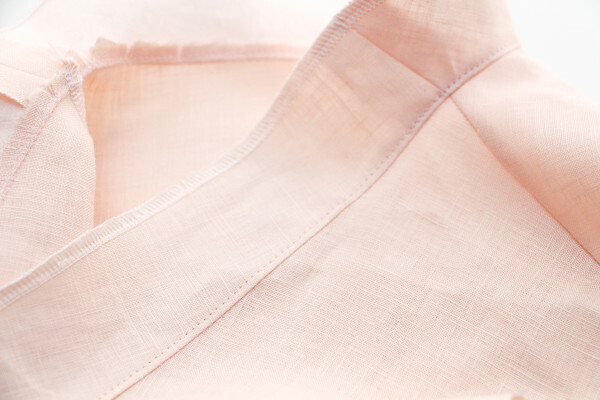 It keeps in place and adds a nice structure to the neckline especially if you’re using a light voile cotton.